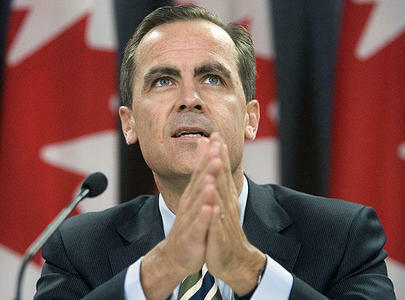 Much has been made, in recent days, of the Canadian Auto Workers’ (CAW) invitation to Bank of Canada Governor Mark Carney, to address the influential union’s annual gathering. Not the least of the exclamations of surprise was the report that Carney had received a standing ovation from the gathered unionists, following his address. On reflection, I would like to suggest that the CAW’s invitation might be a sign of efforts on the parts of some sectors of organized labour, to move from a “class warfare” stance to one of a little more collaboration with others sectors of society. Before moving to Ottawa, close to 15 years ago, I mildly suggested, in some of my writing, that unions often seemed to function as “religion substitutes”. My stance had come as a result of being in a newspaper-related union early in my journalism career and, later, being in a management position, sometimes sitting across the table from union negotiators. At the time, I sometimes wrote about “conciliatory journalism” – the effort to use reporting and editorializing to help different groups in society to understand each other a little better. Occasionally, I would – perhaps imperiously – suggest that reporters who were members of unions had a particularly responsibility to contribute to such understanding. I also wrote at times about the opportunities for both labour and management to break out of the strike/lockout mentality and to engage the then-emerging mediation and conciliation approaches designed to lower the heat and get better and fairer settlements. When appropriate – and perhaps immodestly – I explained that my views on mediation and conciliation grew out of my particular take on the Christian faith. After 45 years of journalism, my views are basically unchanged, although I have to offer the caveat that my involvement in labour-management issues became much less direct when I transitioned from community to Christian newspapering, 30 years ago. All this is to say that I might have both the advantage and the disadvantage of detachment from the everyday employee-employer relationships in the mainstream media. But, in my defence, I am prepared to assert, at this stage of semi-retirement, that, as long as I was involved in Christian newspaper work on the west coast, I tried to encourage those working with me to see that BC Christian News was printed on presses operated by union members. Part of the reason for that encouragement was a publisher named David Black, who has received some extensive ink recently for his proposal to build an oil refinery near Kitimat, to process oil sands product headed off shore. My observation always was that Black and his managers – in an operation that now includes 150 community and daily newspapers and at least a dozen newspaper printing operations – have operated with clear integrity in their relationships with both customers and unions. Does this relate at all to the Christian faith? I won’t say so categorically, but it is worth noting that both Black’s late wife, Annabeth, and his late parents, were devote and serious in their particular affiliations of the Christian faith. Black (no relation to Conrad) does not wear whatever faith he might have on his sleeve. But I can say, with some assurance that his organization has dealt with integrity with the folk at BC Christian News and both its de facto successors, Converge and The Light Magazine. And, from this particular perch, faith is likely not entirely absent from that integrity.